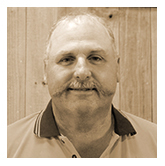 David has over 30 years experience in paint removal and restoration. He began his working life restoring cars, and then moved on to paint removal and restoration of stone, brick and render on heritage buildings. David now also specialises in removing paint from antique furniture and architectural fittings. He welcomes your enquiries and is happy to share his knowledge.